One good way to make things happen in a congregation is to organize a team. At their best, teams benefit from members’ varied strengths and reach results no one imagined in advance. But what makes a team effective? A lot has been written about teams—by John Wimberly and George Cladis among others—and I don’t mean to replace or duplicate their work. Instead I want to share a simplified approach that has been useful to me in building teams, and to my coaching and consulting clients. You may find it useful, too! 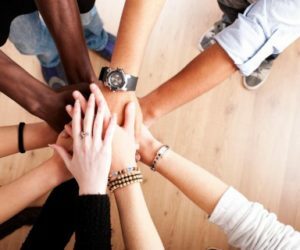 First—what’s a team? You’ll find a fuller definition in Governance and Ministry, but for our purposes, a team is simply a group formed to accomplish a predetermined purpose. The purpose can be to produce inspiring worship services, nourishing soup-kitchen meals, clean rugs, or religiously insightful ten-year-olds. Teams can be short-term or long-term. The purpose can be a core part of the congregation’s ministry, like the worship or the soup, or a supportive, secondary part, like rugs. Who decides the purpose of a team? In a large congregation, this is usually the job of the minister or other staff. In small ones, top-level volunteers do it. Either way, the team’s purpose is defined before the team is gathered. It is not the team’s job to choose its purpose. Along the way, a team makes lots of decisions about how to accomplish its purpose. What it does not do—and retain its mojo as a team—is to waste time deliberating about what it should accomplish. A team needs to be connected to a power source, a supervisor. The supervisor, typically a paid staff member, articulates the purpose of the team, recruits a leader, and ensures that the team has what it needs—money, space, attention, and political support—to accomplish what it has been organized to do. To reach its full potential, a team needs a leader (or compatible co-leaders). The team leader recruits team members. Others, including the staff supervisor, may offer suggestions, but it is not helpful to impose people on the team because they “deserve to be included,” “have always done this,” or for any other reason. Leaders who chose their teams can be fully accountable for the team’s performance. Assembling the right group of members may be the most important—and most frequently neglected—step. Too often, congregations passively announce that anyone who wants to join a team can join. While this seems democratic, it increases the chance of failure by making the team less attractive to those who could contribute most. Some congregations even put one member onto each team who is opposed to achieving the team’s goal. This is not helpful! A vision person, who can articulate the team’s purpose. Some teams have a rather concrete purpose (“Shovel the sidewalk when it snows”). But especially when the purpose is abstract (“Help ten-year-olds feel proud of their community of faith”), the vision person needs to be comfortable with abstraction. The vision person helps each team member to see how his or her work helps achieve a larger purpose. A task person, who can keep the checklist, assign tasks, and ensure that people do what must be done. Even an abstract purpose (“Nurture interfaith relationships in our community.”) boils down to concrete steps—Call up the imam. Set up the chairs. Make snacks. The task person does not rest till every box is checked. A people person, who makes everyone feel welcome and included, and soothes the hurt feelings and bruised egos to be found wherever vision and task people go. The people person keeps in touch, knows what is happening in people’s lives, and notices when the team should pause and pay attention to the feelings of its members. Which of these people should be the team leader? So far as I can tell there is no one answer to this question. Successful leaders lead from each of these roles—or from none of them. The designated leader does need to understand the value of all three, and be willing to let others play the roles the leader can’t. Vision, Task, and People are not fixed traits of personality; we can play different roles in different groups. Instead they name the contributions someone needs to make on each team. The best, ninja-level team members know how to shift to the position no one else is playing and contribute what is needed at each moment. All that I have said about teams applies to paid staff teams as well as volunteers. In a congregation with paid staff, the head of staff is the team leader, choosing the team members (some of whom may be unpaid) and keeping their attention focused on the team’s purpose. 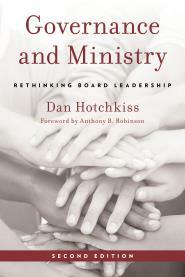 For a paid staff team, the governing board plays the role of supervisor—choosing the head of staff (often in concert with others), giving guidance and direction, and ensuring adequate resources for the work. For the board, as for staff supervising teams of volunteers, it is important for the supervisor to step back and give the team space to develop on its own. A new team (or a team with a new leader) needs more direction, check-ins, and support. But a supervisor who does not back off risks undermining the team leader and preventing the team from rising to its full potential. Leaders achieve results primarily through the efforts of others, and organizing teams is an essential skill. Once organized, teams continually need to be reconstituted and repaired and reconfigured. It’s anything but simple, but a few simple rules of thumb can help ensure the basics are attended to.